As a Beatles fan and a writer, it was only natural that I would attempt to write a book on the band, something that I kept putting on the backburner as I was continually commissioned to write more books on Freemasonry. Maybe one day my book on The Beatles – which has a number of new angles and varying themes – will be finished and published. The Beatles still haunt Liverpool; the places where they lived, the places where they played, and the places that they wrote about, still exist and still attract thousands of visitors, some perhaps in search of the inspiration that influenced the band to write such beautiful and enigmatic songs. Presented here are three manor houses in Liverpool that will be forever associated with The Beatles; Strawberry Field, Lowlands, and No. 8 Heymans Green, three large Victorian houses that also have a deeper history than their Beatles association, being built in the 1800s during a time when the affluent merchants and stockbrokers of the port resided in them. Strawberry Field was a manor house situated on Beaconsfield Road, Woolton, and was the inspiration for the beautifully haunting and experimentally groundbreaking song Strawberry Fields (in the plural) which was released by The Beatles, and written by John Lennon – a song that reminisced the halcyon days of his childhood. 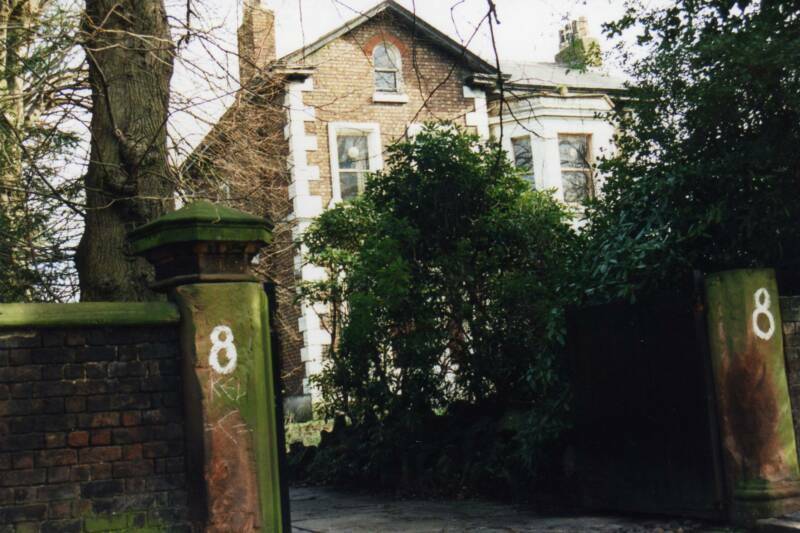 Lennon had lived with his Aunt Mimi at Mendips, on Menlove Avenue, not far from Strawberry Field, which at that time was a Salvation Army Orphanage. Lennon used to play in the wooded grounds of the Orphanage as a child during the late 1940s and early 1950s, and visited the annual garden party that was held there. 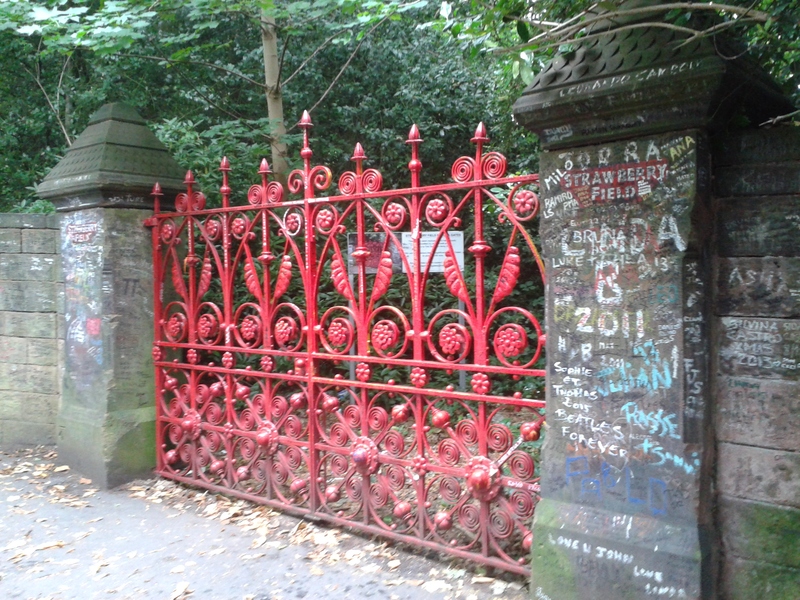 Today, thousands of Beatles fans from around the globe visit the famous gates and scrawl graffiti on the sandstone gate posts, making the gates a shrine to Lennon and the Beatles. 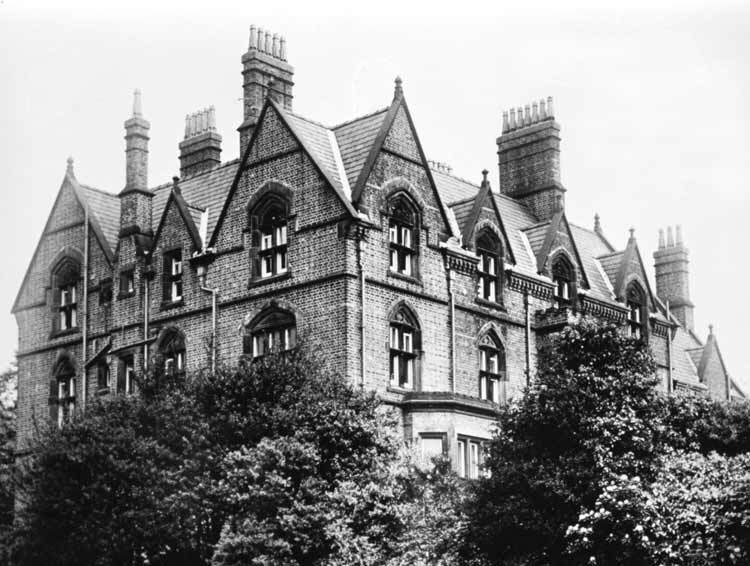 Before it was a Salvation Army Orphanage, Strawberry Field was the residence of the Liverpool ship-owner and merchant George Warren, of the famous Liverpool-Boston Warren Packet Shipping Line. The earliest mention of Strawberry Field is in 1870, the house being a rambling Victorian Gothic mansion, and the Warren family resided there until another merchant purchased the property; Alexander C Mitchell, who resided there until his death in 1927. His widow, who died in 1934, left the home by means of a legacy to the Salvation Army, and the house and land became an Orphanage for girls in 1936. In the 1950s, boys were housed at the Orphanage for the first time. The Gothic mansion was demolished in 1973, and replaced by a modern building which can still be glimpsed at through the gates, along with play areas. As of 2005, Strawberry Field was reopened as a prayer centre and a learning facility where children with learning difficulties can receive vocational training. In 2011 the original gates were removed and replaced by replicas in an attempt to conserve the originals. To visit the site of Strawberry Field(s) is an evocative experience, and the spirit of Lennon and indeed the Beatles, still remains. The Gothic mansion house may be long gone, but the wooded and overgrown area beyond the gates seems to offer a memory of the childhood of Lennon, now glimpsed at through the haunting song. Lowlands, situated in Heymans Green, West Derby, was built in the Italianate style by Thomas Haigh, a builder and architect, in 1846 on land leased from Lord Salisbury who was, and is, the Lord of the Manor of West Derby. The Dunn family and the Tappenbeck family resided there, but it was Thomas Randles Withers that became perhaps the most renowned resident. 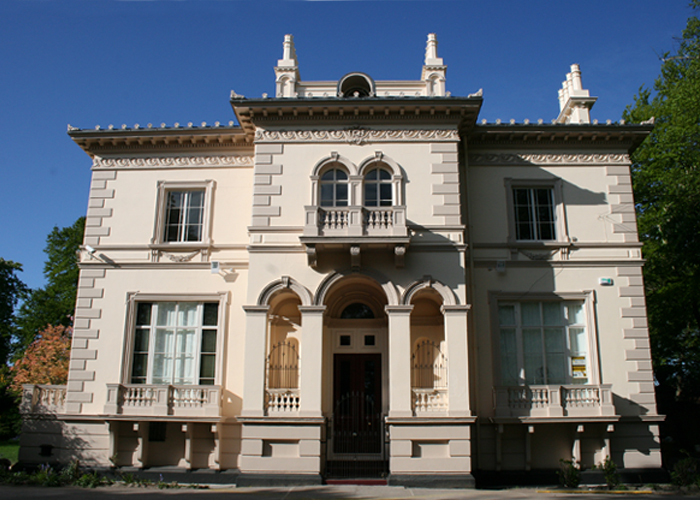 Withers was a stockbroker and chairman of Liverpool’s Stock Exchange, his father Richard, who had also been a chairman of the Stock Exchange, lived in a nearby manor house called Uplands. The Withers family also had another house called Briery Close, which was based at Ambleside Road in Windermere, Cumbria. Withers died in 1899, leaving a widow and nine children. The widow remained at Lowlands until 1930. It was during that time that many of West Derby’s manor houses were being demolished to make way for housing development. Alderman Ernest Cookson, who lived next door, recognized the importance of Lowlands. Cookson bought the house and saved it from demolition. During World War II, Lowlands was used by the Inland Revenue for offices following bomb damage to Liverpool’s India Buildings, and after the Revenue moved out, Cookson sold Lowlands to the West Derby Community Association for a very reasonable price in 1957. Until 1966, Lowlands was the home of the infamous Pillar Club, where many of the Merseybeat bands played in their early days; bands such as the Quarrymen (George Harrison had played here with the Les Stewart Quartet), Gerry and the Pacemakers, the Searchers and Billy J. Kramer. Beatles manager Brian Epstein was a visitor of the club, which met in the basement. A bar still exists, and the pillars, which gave the name of the club, can still be seen. Lowlands can still be visited and guided tours are available. Just down the road from Lowlands, on the opposite side, is No. 8 Heymans Green, a large rambling Victorian house, not so much a manor house but still a very big house nonetheless. It was built around 1860 by an unknown architect, and later became the West Derby Conservative Club. In 1957, the house was purchased by Mona Best, the mother of Pete Best – the drummer with the Beatles before Ringo Starr joined in August 1962. The house had 15 bedrooms, it sits in an acre of land and has a cellar, and it was after Mona had seen a report on TV about the 2is Coffee Bar in Soho, London that she decided to open a club in the cellar. The Casbah Club, as it was named, was opened on the 29th of August 1959, with the Quarrymen playing as the resident band, Lennon, McCartney and Harrison contributing to the painting of the cellar, the artwork displayed on the walls and ceiling can still be seen today. Other Merseybeat bands such as the Remo Four and the Blackjacks also played there as the clubs like the Cavern were still dominated by the Jazz scene at this time. Pete Best joined the Beatles as drummer in August 1960 and was to spend a little over two years in the band. The Beatles were the final band to play the Casbah Club when it closed on the 24th June 1962. The Best family still own the property and the Casbah Club is open for visits and concerts, with the Pete Best Band still playing there occasionally.